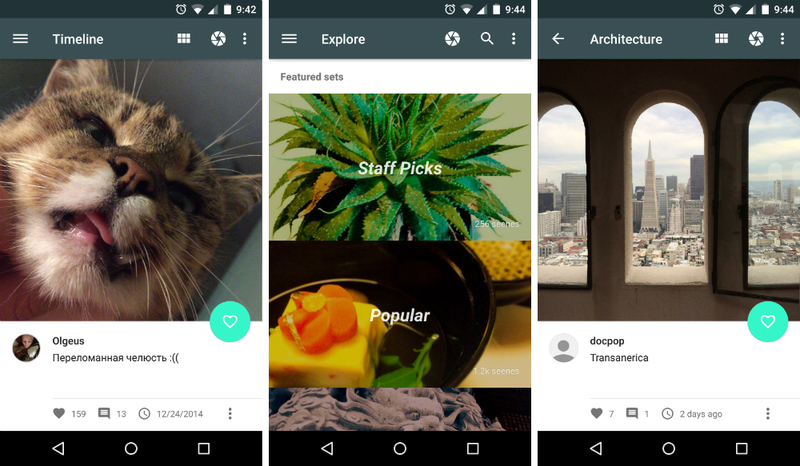 Now available on Google Play, Seene is a photo sharing application much like Instagram, except for one huge difference. While uploading and liking other people’s photos is basically the same, the actual content is much more immersive, as the service focuses entirely on 3D photos. While not everyone no one is still using a HTC EVO 3D, the app’s software is able to take your single camera, have the user pan a little bit from side to side when shooting a photo, then create what looks like a picture with real depth and dimensions. While users are searching the timeline, they can rotate and twist their phone, showing off your cool 3D images. Of course, the software is pretty limited to still objects and backgrounds. No moving objects are shootable, as well as nothing transparent. Basically you need the perfect subject matter to make the effect look good. While the service needs a serious boost in users to become awesome, the photos do look incredible. I highly recommend you go check it out, then sign yourself up to share a few cool photos.